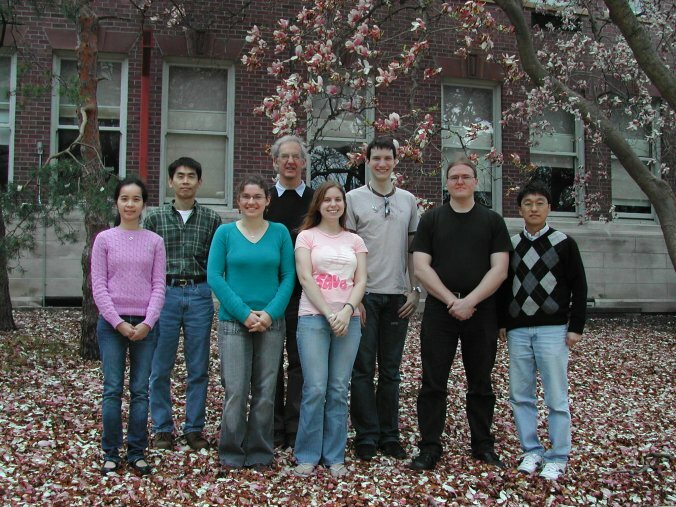 This is the introductory Home Page for the Crofts laboratory (A. R. Crofts), at the University of Illinois at Urbana-Champaign. A personal research interest is in information fluxes in the biosphere , and various practical and philosophical problems that arise from a new look at the nature of semantic transmission. Directions to Lab and offices. How to write simple web pages. Electron transfer rate calculator, - Java applet using corrected Moser-Dutton, or classical Marcus, equations. Marcus-Bronsted program for analysis of energy-gap law parameters determining the kinetics of the rate-limiting reaction at the Qo-site of the bc1 complex. Files available include executable program, Visual Basic source code, and Manual. Two useful shareware programs for protein modelling in the Windows environment can be downloaded from our anonymous ftp site. Try out a Chime Protein Viewer, and PSAAM (Protein Sequence Analysis And Modelling).